When you are carrying the world´s first OLED handheld digital multimeter, you will not have to squint to be sure that you are reading it right. On the go or on the bench, you will get crystal-clear viewing indoors, even in the dark and off-angle situations. 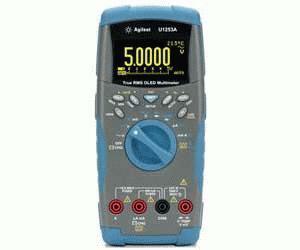 Even though the U1253A is loaded with high-performance features and easy-to-use functions, it is priced to be easy on your pocket, too. You might even say it is revolutionary.